What Does Carbon Neutral Mean? 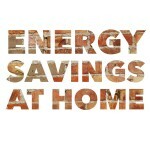 Home » Sustainable Living » What Does Carbon Neutral Mean? In the past I have talked about how much I like the fact that companies like Sukin Organics are carbon neutral, but it recently dawned on me that I’ve never explained what that really means, and why it’s such a good thing! So today I thought I would rectify that with a short guide to carbon neutrality (it’s not too technical, I promise!). 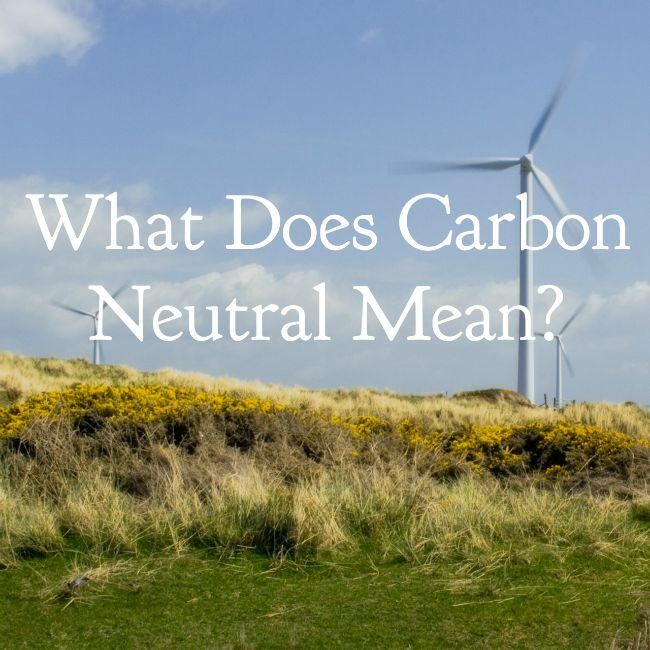 In a nutshell, what does carbon neutral mean? Basically, for a company to be carbon neutral they must be able to offset all their emissions in some way, leaving them with no unaccounted for carbon emissions in the atmosphere. This includes everything from travel and transport, electricity for heating, cooling, running computers etc, and any other energy the business uses. Houses can also be classified as carbon neutral, although this is generally a more simple equation looking at whether the house can generate as much energy as it uses, through things like sustainable design features and the installation of solar panels. How would a business go about becoming carbon neutral? In general there are three elements to a business becoming carbon neutral – reduction of emissions, generation of electricity and carbon offsets. The most important step any business trying to become more sustainable is to reduce their emissions as much as possible. This can be through things like upgrades to more efficient lighting, heating and cooling, as well as behaviour changes of staff with simple things like turning off computers at night really making a difference to energy use. Many of the changes that businesses can make to reduce their emissions are also things we can all do at home and in our own lives. 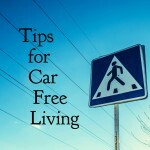 I’ve shared a few ideas in the past including tips for summer & winter, eco friendly driving and more general energy saving at home so there’s lots of info if you missed them! Once you have reduced your energy use as much as possible, the next step is to try and generate as much as you can! For most businesses (and households) this is going to be through the installation of solar panels, which are becoming cheaper and more efficient all the time. For some organisations there are other options for energy generation too, for example I work for a local council and we now heat our swimming pools using something called co-generation, which I won’t get technical about but basically it is a process that both generates electricity and allow you to use the resulting heat in a useful manner. It may sound complicated but it definitely cuts our energy use! The third step of becoming carbon neutral is to purchase carbon offsets to cover any remaining energy use that you haven’t either been able to eliminate or generate yourself. 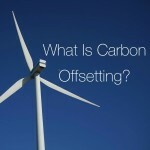 I talked about carbon offsetting in last week’s post so I won’t go in to detail about how it all works here again! In a nutshell, carbon offset credits are used to fund things like renewable energy projects, reforestation and a whole host of others. Can we trust the label? For an organisation to be able to call themselves carbon neutral then they must be able to demonstrate that they have properly accounted for all their emissions, and have counteracted these with a combination of energy generation and carbon offsets. In Australia this process is regulated by the Federal Government under a program called the National Carbon Offset Standard (NCOS) which sets out minimum requirements for calculating, auditing and offsetting an organisations carbon footprint. I can tell you from hearing about the process we had to go through at work to get our carbon neutral status it’s no easy feat, they are definitely thorough in their auditing (as they should be!). You also have to re-certify every year to be able to keep using the logo, and you can find a list of certified companies and products on their website. There is also a certification program through the Carbon Reduction Institute which follows a similar process to NCOS, focusing first on reduction then ensuring all emissions have been offset. They also keep a list of certified products and businesses on their website, so you can check to be sure any logos you are seeing are relating to current standards and not previously achieved ones. The thing I really like about the process around carbon neutrality is that it really does focus first on reducing emission first and foremost. This means companies can’t just buy themselves a carbon neutral status through purchasing offsets without having to make some serious changes to their own practices first. That’s just the way it should be! The easiest way for us to all get involved is to actively support businesses that are carbon neutral by buying their products or using their services. As individuals we can also work towards carbon neutrality in our own lives by reducing our energy use (those posts I mentioned earlier might help! ), installing solar panels if possible, buying our electricity from a renewable source (personally I use Red Energy) and buying offsets for our own energy use, which I covered in last week’s post. You can’t officially go so far as getting yourself certified as carbon neutral, but the planet (and your wallet!) will thank you regardless! So that’s what carbon neutral means! I hope you found it helpful, but if you have any questions then please ask away! 2 Comments on What Does Carbon Neutral Mean?